The wonderful world of online gambling has sure come a long way since the first virtual betting website was launched in the mid 1990s. Back then most people didn’t even know what the internet was and those who did were mostly concerned with chatrooms and message boards. Unsurprisingly, people took to online casinos slowly and were extremely skeptical about their legitimacy. Then someone had a “friend of a friend” who actually got a payout from one and people started to slowly make the migration from brick and mortar establishments to virtual ones. These days the landscape for operators is totally different and every country in the world has their own set of rules and regulations for the industry. The vast majority of the people in English speaking countries are free to bet wherever they like on the internet, however, there are some backwards jurisdictions who still try to restrict access to this type of activity. This section is one part of an all-encompassing guide that will outline everything you need to know about the internet gambling industry, including where to play, what to watch out for, where to get the biggest bonuses, and everything in between. Get comfortable and keep reading to find out the basics of what you need to know. We review online casinos in the same manner that we review slot games: thoroughly and honestly. We leave no stone unturned and aren’t scared to ruffle a few feathers with our opinions. As we always like to claim on this website, “we waste our time and money so you don’t have to,” so please benefit from our hard work. Luckily we’ve had the opportunity to visit many countries in the world and this has allowed us to review tons of operators who service the United States, the United Kingdom, and even ones that reach all the way down to Australia. In addition, we have a solid team of writers in every major English-speaking country on the map, so we have every region covered. 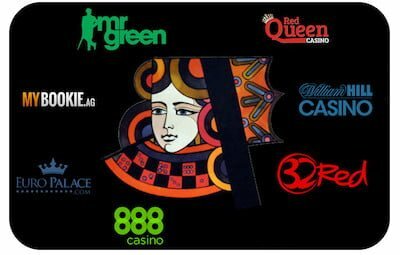 Here is our current list of online casino reviews that you should read before signing up for an account because you’ll be quite surprised at some of the things we found during our research. As always, you can rest assured that The Queen of Online Slots is here to help you with all of the most important information and facts, and we are constantly updating the pages of this website to reflect any breaking news or changes that you’ll want to know about. Although this is going to be a very subjective topic, everyone should be able to agree that the best online casinos have to do a few things right. Factors such as payout speed, customer service, bonuses and promotions, fair games, number of games offered, deposit options, VIP programs, and stability of software are all things that need to be taken into consideration when ranking operators. This is why we’re happy to report on all of the reputable operations that we’ve personally visited throughout the years. There are some great ones out there but there are also some absolute stinkers that you should avoid at all costs. How do I deposit into an online casino? 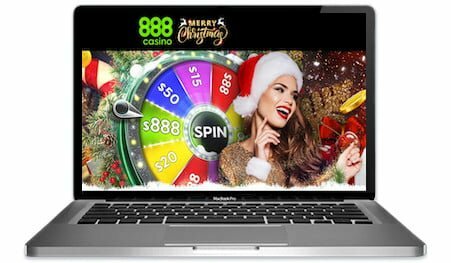 It’s extremely easy in this era of virtual shopping to deposit at an online casino, with most choosing to use credit cards. Without exaggeration, 99% of them will accept VISA, MasterCard, Maestro, and any other card that you can think of, including Diner’s Club. Since the early 2000s electronic wallets or “eWallets” have become quite popular as well. These are basically 3rd parties who process the financial transactions between the purchaser and the merchandiser, or you and your gambling website in this particular case. The great thing about depositing with eWallets is that the transactions are instantaneous and the money is immediately available in your account and ready to use. They are mostly used by European and Asian players, with the most popular ones being EntroPay, NETeller, UseMyWallet, and WebMoney. All of them have different fees for deposits and withdrawals so make sure you read their price structures before signing up. It can be intimidating to break out your credit card and give your personal information to a faceless entity that is regulated in a distant land: don’t worry, these feelings are natural. It’s totally understandable why some people are worried about safety and are hesitant to gamble on the Internet as a result. Thankfully things have changed drastically over the last few decades and the vast majority of betting websites are absolutely trustworthy – as long as you’re playing somewhere that has been reviewed by us, that is. We identify the few bad apples that you’ll want to stay away from. You can be darn sure that anyone who’s mentioned on this website has been put under the microscope and no stone was left unturned. However, if you just wander out there into the World Wide Web on your own, you’ll never know where you’ll end up and who you’ll be trusting with your hard-earned bankroll. The Internet is littered with the ghosts of old casinos who went rogue and stole all of their customers’ money, disappearing into the night never to be heard from again. Don’t let this happen to you – take the five minutes and find out if they’re listed on the pages of our website, and check the rating that we’ve assigned to them. The answer to this is basically the same as the above question and it totally depends on where you’re playing. The vast majority of online casinos are not rigged in any way but there are certainly some out there that are totally immoral and will scam you for as much money as they can. You can usually tell that an operation is a scam when you play for hours and hours and don’t see much of a return on what you’ve spent. Another classic trick is that they give you bigger wins in the beginning of your time with them but then they don’t let you cash the funds out and claim that you haven’t met the rollover. Then they hold onto your funds until you lose it all back to them in the hopes that you angrily redeposit to try to win again. The good news is that we’ve gone out and made lots of mistakes on your behalf. We’ve dealt with shady operators who look for reasons not to pay their players out. We’ve argued with customer service representatives about how they’ve miscalculated our rollover requirements and we should be able to make a withdrawal. And we’ve certainly felt the sting of an operator closing their doors and running off with our funds. It’s happened before – especially with a few rogue USA operators that disappeared overnight and vanished into thin air. This is why it’s so valuable to break each one down and independently review and rate them for the internet gambling community. It is a very long process but Betty Dee can’t really call herself the Queen of Online Slots if she doesn’t have a comprehensive casino review section, right? Most people involved with this website have been lucky enough to travel the world over the last couple of years since retiring, allowing them to try out many different operators in tons of jurisdiction. We’ve even hired a few reviewers from far away countries that we’ve never visited to ensure that people from all over the world can learn from our website. Please remember as always, we’ve done the hard work so you don’t have to.